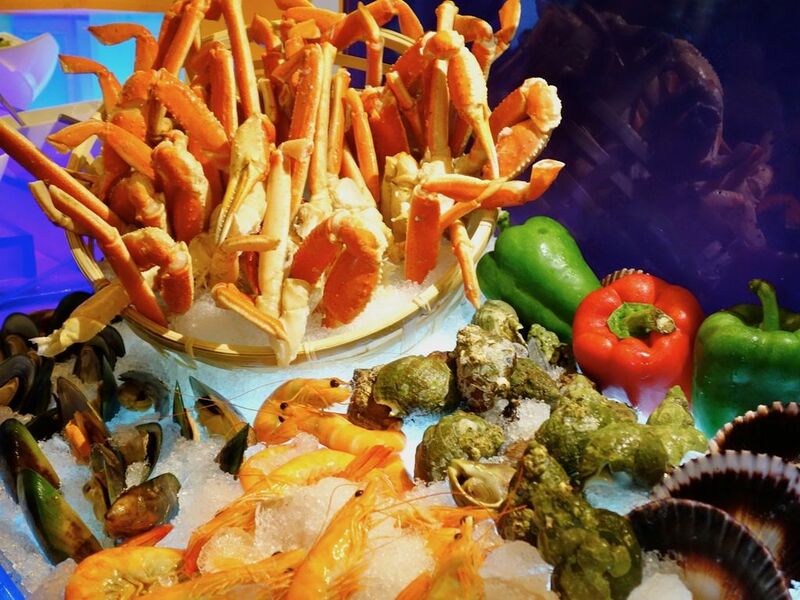 The only reason why i'd want to go to a buffet would be for the sheer variety (must be quality item of course) but i wouldn't mind going for a crab buffet since the meal wouldn't be that heavy (so i thought). 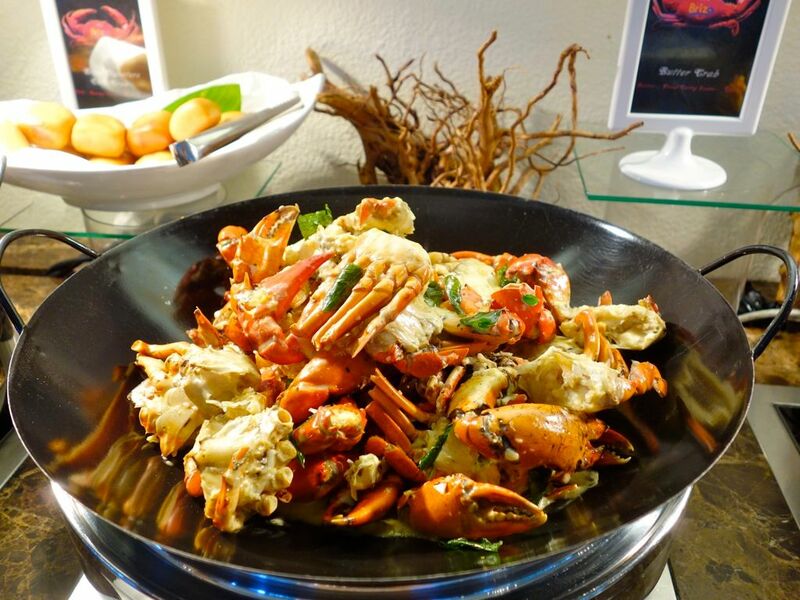 On that note, if you're a crab fan, then you should check out Brizo Restaurant & Bar at Park Hotel Clarke Quay as they are presenting their second run of ‘Crazier about Crabs’ Buffet from 1 April to 28 June 2015. 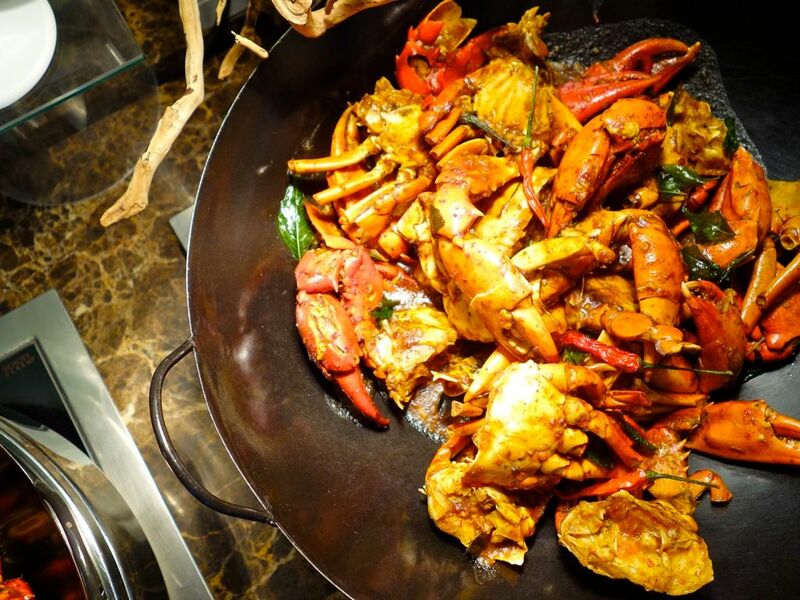 The dinner buffet comprises of a total of 22 types of crab dishes and 26 kinds of seafood and stars a brand new star dish ‘Crab in a Pan’, a cook to order crab dish. Each pan contains a whole crab, prawns, clams, black mussels, potatoes, corn and sausage. Pick from 3 sauces- Mariniere, Bouillabaisse, and Cioppino. I loved the white wine cream sauce as it was the most flavorful of the lot and i enjoyed the sausages, corn and juicy prawns in the pan! Other things that i liked include the the cold Alaskan crab claw which was sweet and briny. The fresh prawns weren't too bad too. Skip the rest though, i didn't think the salmon was fresh enough and the other seafood looked frozen. 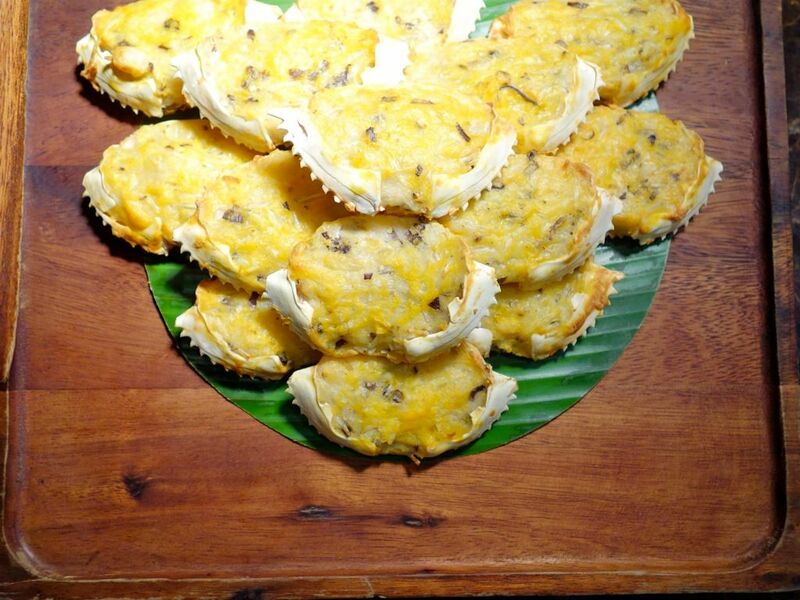 The Heavenly Fragrance Crab, a dry curry crab was the standout dish among the lot of Chili, Pepper, Butter, X.O. Steamed Crab etc. The Butter crab wasn't too bad as well, that's if you like lots of cream. This was a little on the sweeter end. I was looking forward to the Salted Egg Yolk crab but was disappointed. If they could cut down on the garlic in the Salted egg yolk sauce, up the egg yolk game and get rid of the thick batter that coats the crabs.. then yea it will stand a chance. Things that aren't worth your calories include the X.O. Steamed Crab (which was overcooked and dry); Crab meat Kueh Pie Tee (which was dry, cold and strangely set on sugar granules); the bland and lumpy Crabmeat Fried Rice with X.O. sauce; Baked pasta; and all that deep fried crab stuff (breaded crab claws and soft shell crab) which were wisely tucked away in the corner. 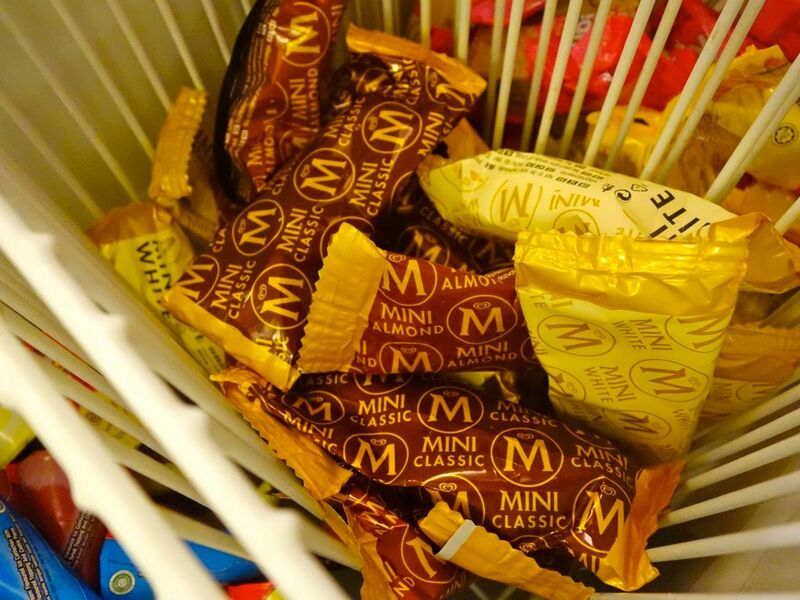 For desserts, go straight for the mini Magnums in the freezer. Honestly i'd rather this than those lousy mass market ice cream in tubs. There's also a chocolate fountain but it's just what it is. 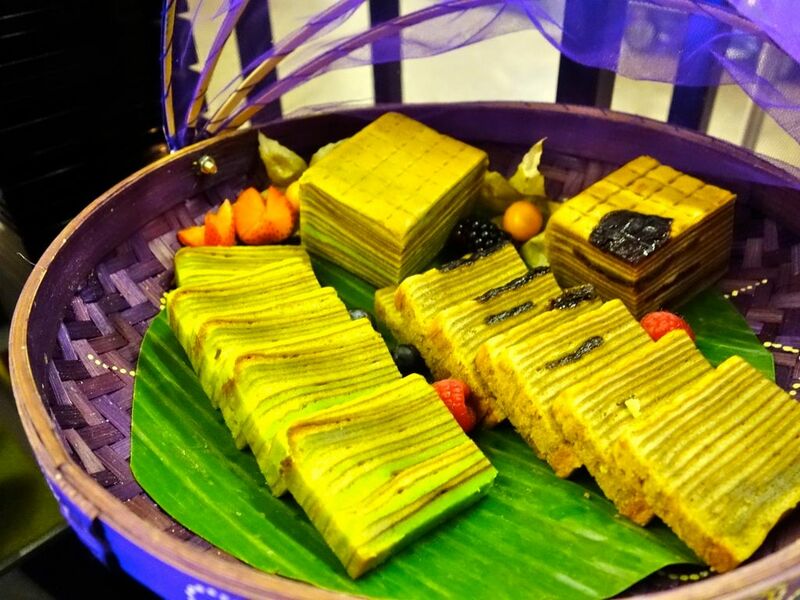 The kueh lapis were surprisingly decent even though they were kinda soggy-ish and the layers weren't perfect. 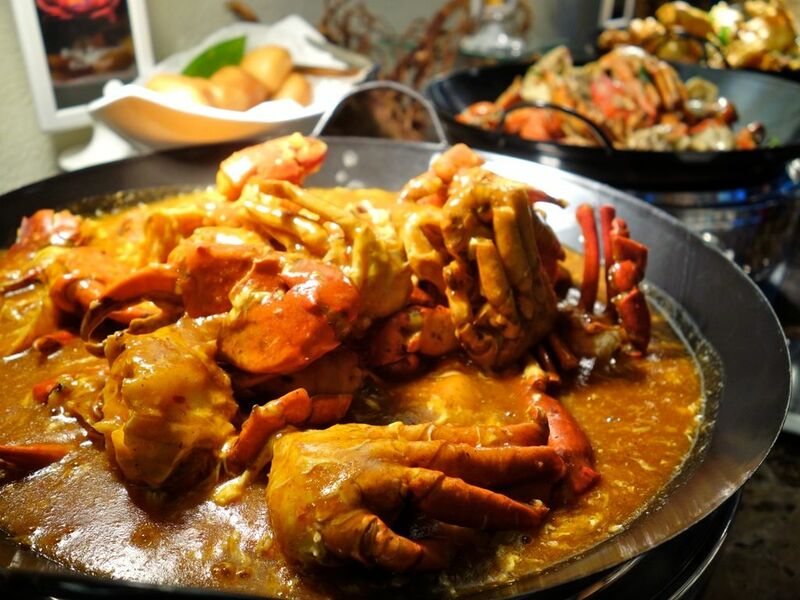 Brizo is also extending an earlybird exclusive of 20% off Crazier about Crabs buffet dinner to readers of Ms-Skinnyfat.com. To redeem, quote this promo code 'Ms-Skinnyfat Early Bird 20% off’ when you call to make your reservation. This is only available for dine in from 1 to 12 Apr 2015 and is limited to 20 diners a day. You can also win a weekend staycation at Park Hotel Clarke Quay by sharing your crab dishes with the hashtag #crabbuffetatpark on Instagram. Contest runs from 1 Apr to 28 Jun 2015.